How do you celebrate summer? 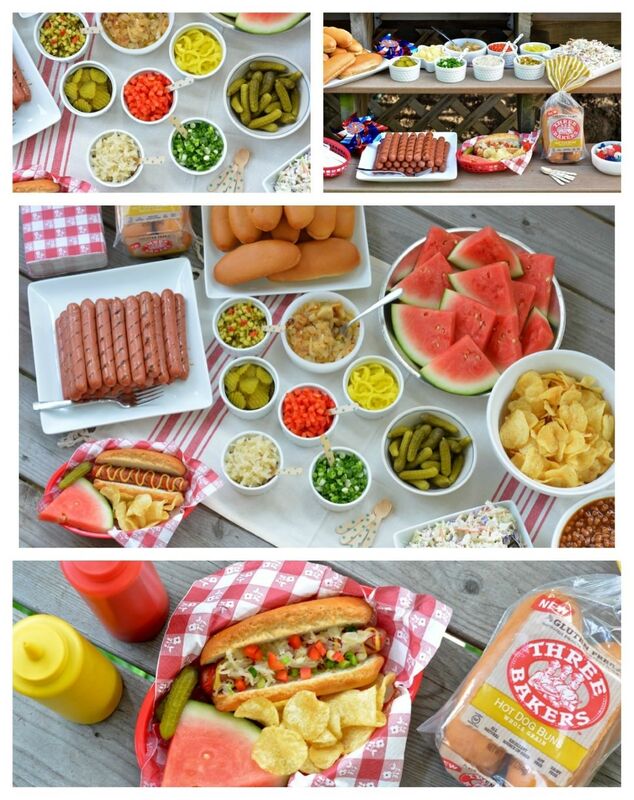 We’re celebrating with a hot dog cook-out made complete with delicious Three Bakers gluten free Hot Dog buns. 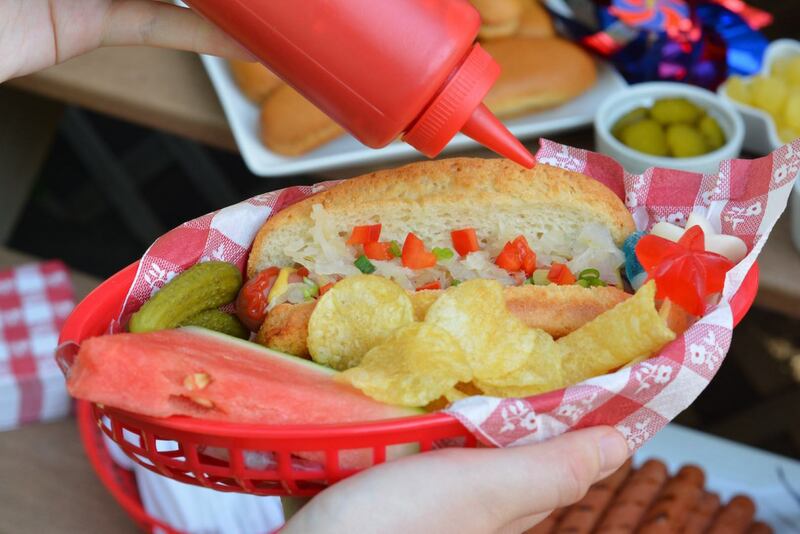 To make things extra festive we outfitted the meal as a Hot Dog Bar with lots of toppings. Our toppings were ketchup, mustard, red peppers, pickle chips, caramelized onions, sauerkraut, homemade sweet relish, thinly sliced green onions, and hot pepper rings, but feel free to add anything your family enjoys. Try chili and cheese, mushrooms and Swiss, sautéed spinach and garlic, or roasted peppers and horseradish. The possibilities are endless! Baked beans, potato chips, watermelon and cole slaw fill out the rest of the meal. Keep things simple for dessert with bowls of lemon drops and gluten free gummy candies in red, white and blue. Serve with melon, fruit salad, chips or potato salad, cole slaw or salad.